Arts and Crafts style rugs consist of a global collection of vintage designs that cropped up in the early 20th century, influenced by the Arts and Crafts Movement. 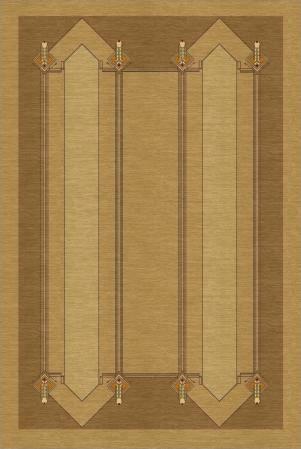 Despite their antique design, these artistic rug patterns are still widely reproduced and used in homes today. The Arts and Crafts Movement rejected the idea of mass produced factory products in favor of items made by skilled craftsmen. Art Nouveau was a popular style during this time, influencing rug patterns with flowing, curvilinear lines and nature inspired, floral designs. Mission style as well as geometric patterns inspired by Native American designs, and Caucasian rugs (hand-knotted rugs made in a small, Middle-Eastern region called the Cacasus) are favored for this style. Historically accurate Arts and Crafts patterns have antique origins from the mid to late 1800s to the early 1900s and are produced on hand-knotted wool rugs, hand tufted rugs and flat weave rugs. 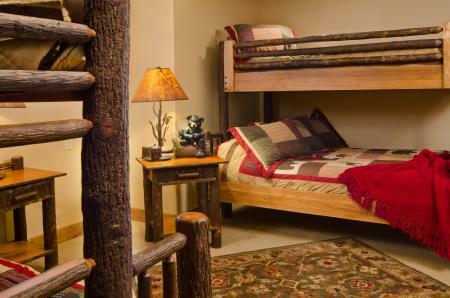 In the bedroom, place the rug perpendicular to the foot of the bed. Alternatively, place the rug on the diagonal coming out from the side of the bed. In great rooms or open concept floorplans, use the rugs to help define separate areas such as the dining area or a conversation area. Create a comfortable outdoor living space on a covered patio by covering the floor with rugs. 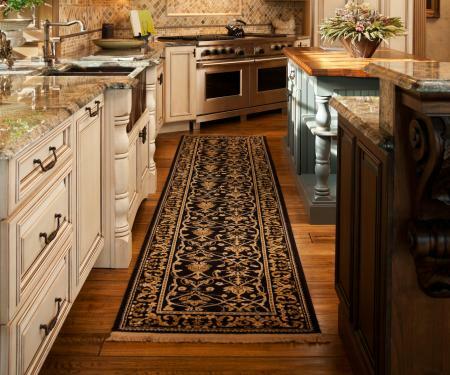 In the kitchen, place a runner rug parallel to the sink or running along natural walkways created by kitchen islands and cabinets. Mount an exceptional rug as a wall tapestry. Protect a valuable antique rug by mounting it inside a glass framed shadow box. 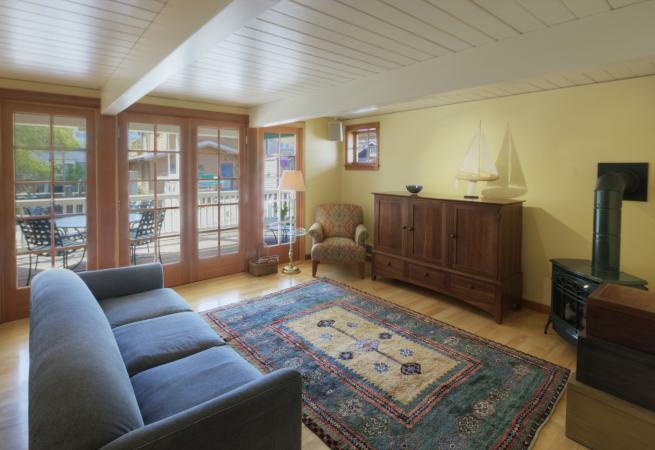 Arts and Crafts rugs' natural motifs and earthy colors make a beautiful complement to homes, like Craftsman styles, with hardwood floors, wall-to-wall wood trim, coffered ceiling beams, and built-in wood features. Earthy green and blue floral patterns look exceptionally good against polished, dark wood floors in a home office, dining room or any upscale, formal room filled with wood detailing. Geometric patterns befit the clean, simple lines of Mission style or modern furniture. Rugs featuring warm earth tones add natural color and texture to stone or terra-cotta tile floors in rustic great rooms, entryways, kitchens, or bathrooms. Colorful, abstract designs on Caucasian rugs make them a perfect accessory for eclectic or bohemian style rooms -- or any room where you want to add a pop of color. This hand-knotted rug is made from 100% wool and Swiss chrome color fast dye. Sold at Mission Motif. 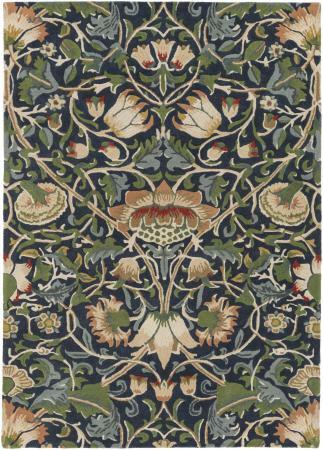 This large 11 ft, 4 in by 14 ft carpet designed by Gavin Morton is an updated Turkish design featuring a red-orange center field with an intricate geometric trellis of hooked palmettes surrounded by a navy blue border of angular, leafy vines and palmettes and finished with a second border of abstract green vines. Full of bold color and vivid imagery, it's a true work of art. A prized item for any collector, this wool rug is priced at $60,000. It's for sale at NYC antique rug dealer, Doris Leslie Blau's website. You can also inquire about renting it. Made from hand-knotted wool, you can find this rug at Burke Décor. This hand-knotted wool rug is available at Mission Bungalow. Shipping and insurance is $50. Geometric zigzags combined with small crosses, blooming floral shapes, distinctive diamonds and a mix of the other abstract shapes give this antique rug a unique, slightly mysterious feel. Exotic colors of dusky blue, maroon and violet are bordered by soft white lines creating an interesting landscape. The rug has three borders with alternating zigzags and botanical shapes. This one-of-a-kind flat woven wool rug measures eight by 12.6 feet and you can find it at Nazmiyal Antique Rug Gallery for about $8,800. This geometric rug design is part of the Prairie Collection inspired by Frank Lloyd Wright. Woodlawn is loosely based on one of Wright's most important architectural achievements, the Robie house located in the Hyde Park neighborhood of Chicago. The sample pictured is in monochromatic shades of gold with A-line rooftop shapes at each end and parallel lines, creating alternating blocks of color, running through the center. This wool rug is custom-made to order in any size and any color at a cost of $53 per square foot. You can find it at Guildcraft Carpets. 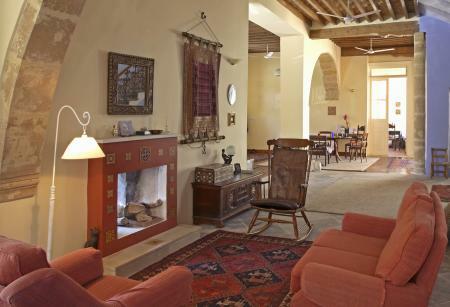 The superb artistry of Arts and Crafts style rugs has stood the test of time, with enough variation in designs to satisfy practically any decorating style. Select one that brings the elements you desire to the room you want to place it in and you're sure to enjoy it for years to come.